We believe in providing quality information to everyone for FREE! We are fully compatible with Web TV, AOL,Netscape and Microsoft Explorer. With more than 2 million Web Sites out there it's hard to find the good stuff. . The PC Computing editors and Internet experts spent months combing the Web to compile their 2nd annual guide to the Best sites of 1996 for business, home, education and recreation. 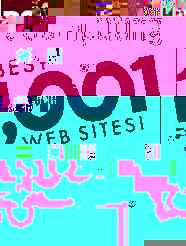 ENCYBERPEDIA is honored to have made this distinguished list of the top 1,001 websites on the NET! Thank you PC Computing! ...is the Official Website Count and we're cookin! Please register in our our guestbook. comments about the site! Your feedback is important to us. If you like this site tell your friends!!! If you don't, Please tell Bruno... for your feedback! live clean pictures FOR ALL AGES from around the world!!! use our powerful search engine page to help! Library Web International guide to on-line libraries and databases. Library of Congress-New-This World Wide Web site allows the Library of Congress to offer the first small but important part of unique American historical collections as well as a catalog of the text and images from major exhibitions, the THOMAS database of current information on the U.S. Congress, a Learning Page for K-12 students and teachers, and much more. The National Digital Library Program offers access to key documents, films, photographs and sound recordings of the nation's history in the American Memory Historical Collections. The National Digital Library Program is designed to bring the most interesting and important original documents of our history and culture into schools, libraries and homes everywhere. Virginia Library and Information Network Provides services and programs for all of Virginia's libraries, Virginia's citizens, and researchers around the world. World-Wide Web Virtual Library A distributed catalog sponsored by the W3 organization. Don't forget to add us to your Bookmarks! Monte Cristo Please Call us!